Michael was born in Germany and raised in Texas but has been a resident of Kansas for 37 years. He graduated from Bethany College with a degree in Psychology and then went on to Washburn University where he attained a Law Degree. Service to the community was instilled in him at an early age and is still a major part of his law practice and personal life. Michael moved to Wichita in 1976 when his father, Kenneth Studtmann, became senior minister at Bethany Lutheran Church where he served for 25 years. Michael serves on the Board at the YMCA and is an active baseball and basketball coach. He is also on the Lawyer's Assistance Committee and is a member of the Wichita Bar Association, as well as, the Kansas Bar Association. 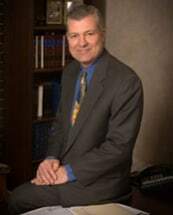 Michael has practiced Law for over 20 years in the Wichita area and believes in a FRESH START for everyone!